Wow well we have hit week 13 (14 really,) it seems time really does fly. I guess the good news is that after 3ish weeks I am feeling decent, not 100%, but better. I forced myself to go to the gym today, I did not run long, but it was something. 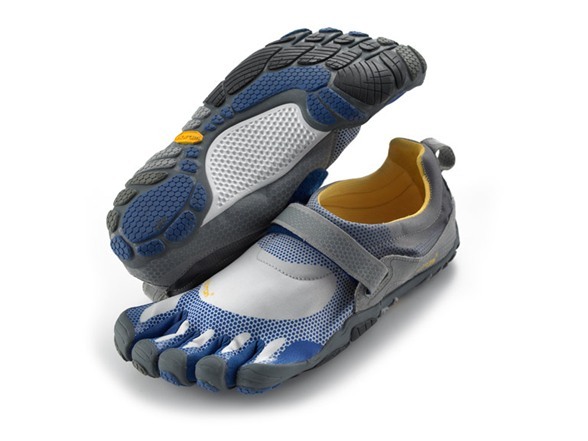 The running this morning was interesting, as it was my 1st run in my new shoes: Vibram FiveFingers Bikila Shoes. I love these - but I have to re-learn how to run. Well I am getting this adventure up, and will be working on the slide shows soon, and other changes I want to make to the blog. Well as last weeks adventure was one of the curvy sort, I figured I’d find a nice straight tangle for this week. I poked around and found this little gem created by CZT® Carole Ohl. The tangle for this week is Shard. 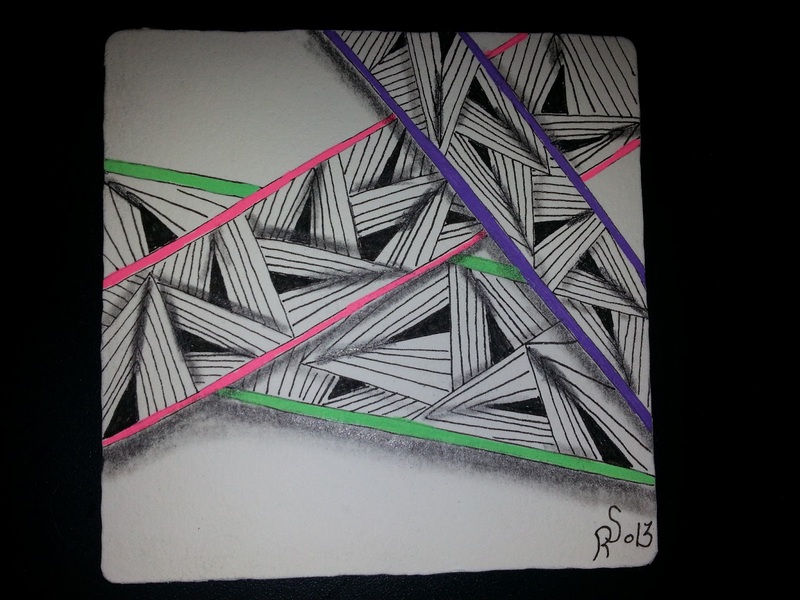 I had a bit of fun with it, and it was nice to be tangling again. You can find it’s step out here. Please have fun, enjoy your tangling! Love the color, had not tried this one before. I had not done this tile before(I think), it is quite a bit of fun. I still have trouble adding color, but it worked really well in differentiating the 3 Bars. Glad you are back in the real world and tangling again, Roy. I had to laugh at your "straight tangle" description of this tangle. I, as I say in my blog, "just had to bend the rules." Yours is much nicer though done following the real tangle directions. I typed the post yesterday around lunchtime, by evening my energy level plummeted again. I am really ready for this to be completely gone! I would not wish The Shingle on my worst enemy. Jean I try to alternate between (Curvy/organic/Maria type) Tangles and (Straight/ridged/Rick type Tangles.) As for your entry, I love that you made it curved, I fully understand changing up a tangle, that is a big portion of the Monotangle adventures, making you think of new ways to use a tangle. I love the tile. The use of color really makes it stand out. Glad you are back on the mend. Those are cool shoes. Glad you're feeling better. This was an interesting tangle.